Mike Manchak, Executive Director of the EVC and Mark Sylvester, 805connect’s Ambassador recently sat down for a conversation about economic vitality and how the he and his team are working hard to create an atmosphere that supports all phases of business activity in the region. The Economic Vitality Corporation of San Luis Obispo was 805connect’s first partner and helped shape the early design of the directory and provides ongoing assistance and guidance to the project. Mike has been instrumental in providing access to businesses and organizations in the region. The EVC’s economic cluster initiatives have been bolstered by the collaborative capabilities of the platform. 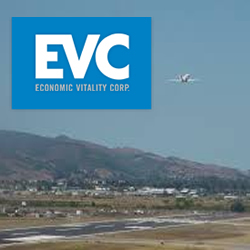 Established in 1994, the Economic Vitality Corporation (EVC) is the provider of economic development services and business resources throughout San Luis Obispo County. The 501(c)(3) non-profit, EVC is funded by private and public sector sponsors which supports a mission to help start and grow businesses on the Central Coast and create a more vital economy.